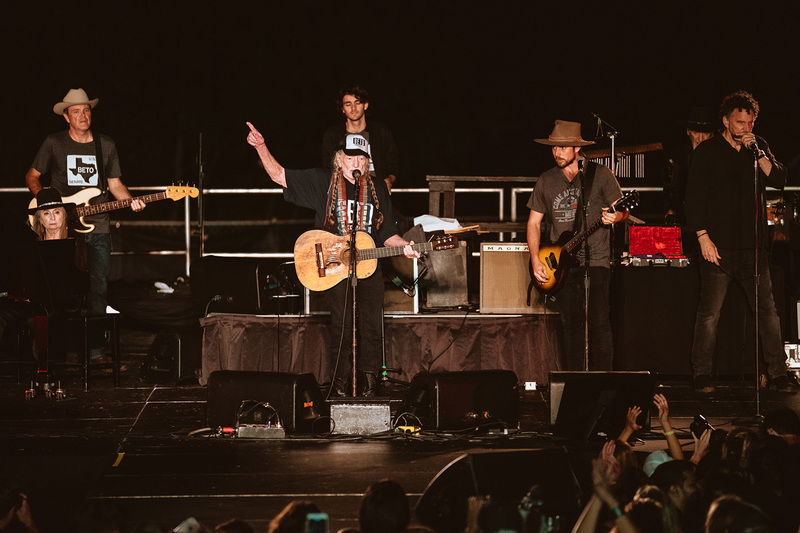 Willie Nelson released a free concert on Saturday night in Austin for Texas Senate candidate Beto O'Rourke and ended his set with the new song "Vote & # 39; Em Out". "Here's a new song we're gonna play Spring this evening, take it home, take it around," Nelson said, before going into the bouncy sing-along: "If you do not like who's in there 'vote out' / this is the election day and that's the biggest gun we have / is called ballot box / if you do not like who's in there / vote. " 1; an estimated nearly 60,000 – to join him in the call-and-response refrain. O & Rourke also appeared on the rally and addressed the crowd He joins Nelson on stage to sing "On the Road Again". The Democratic candidate will challenge Republican incumbent Ted Cruz in November polls. Nelson attracted some conservative fans when the rally was announced earlier this month. When he appeared on the talk show The View Nelson said the criticism did not bother him. "Everyone has an opinion," he said. I think I have one, too. "